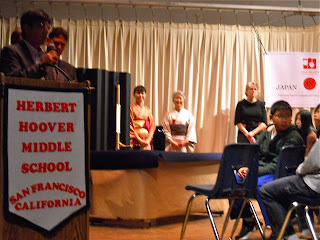 Japan Society's donation presentation to Hoover Middle School. 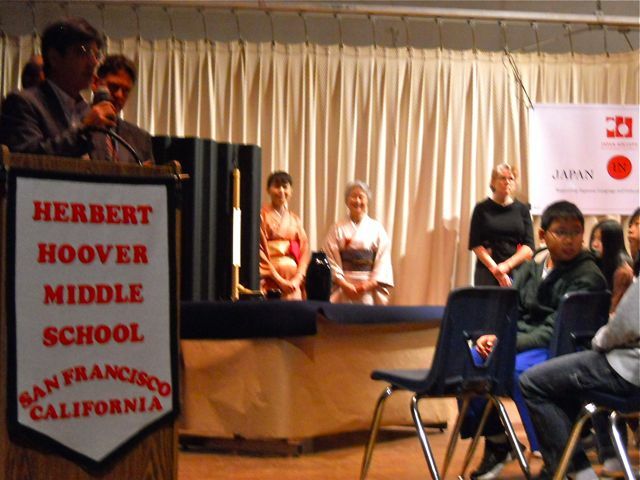 in the Japanese language program. heart, butterfly and origami star vase. 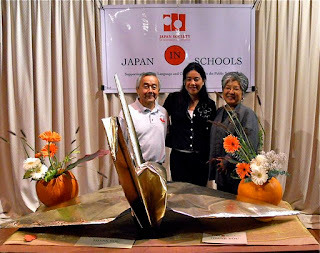 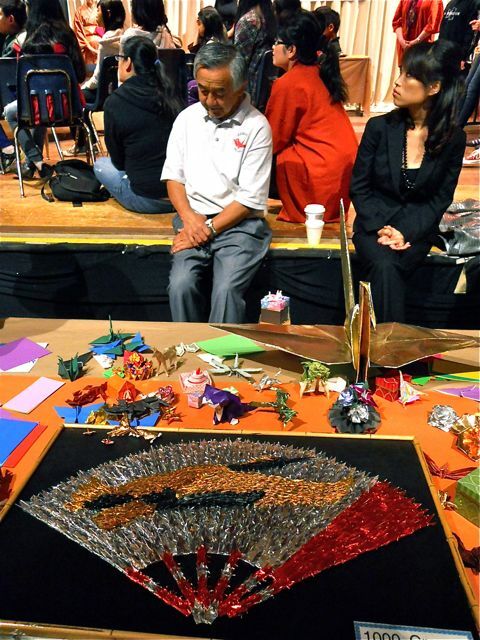 fold a 6' square paper to make the crane.